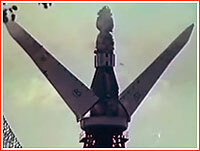 The L3 system was a four-element combination of rocket stages and spacecraft designed to land a Soviet cosmonaut on the surface of the Moon, after the L3's delivery into low-Earth orbit by the three-stage N1 rocket. 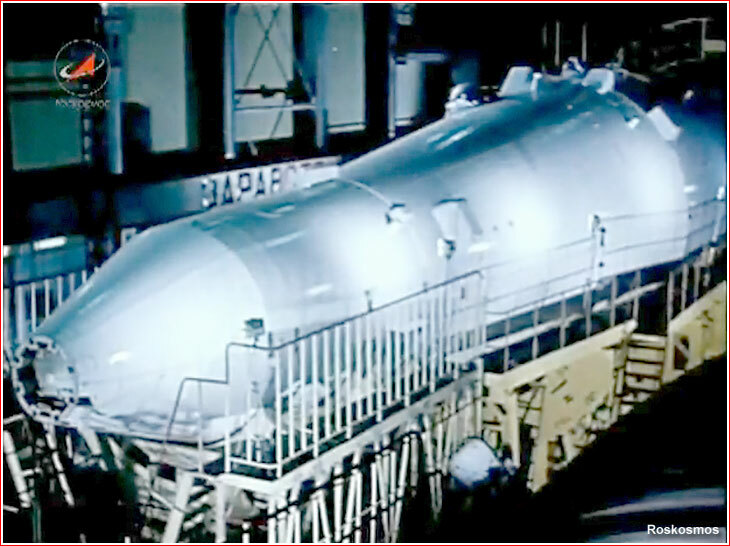 The L3 spacecraft under payload fairing minus the emergency escape system during its final assembly in Tyuratam. 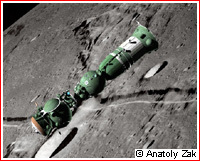 Lunar Orbital Spacecraft, LOK, with Block I propulsion system. Basic configuration of the L3 complex, which included the LOK spacecraft was formulated by 1963, or roughly two years after a similar architecture of the lunar expeditionary spacecraft had been adopted in the United States. Fairing deployment tests for the L3 spacecraft.